This book represents how 3D can enhance a book that would stand alone as a historic document even without the use of stereo photography. The best way to describe this book would be a 3D documentary. 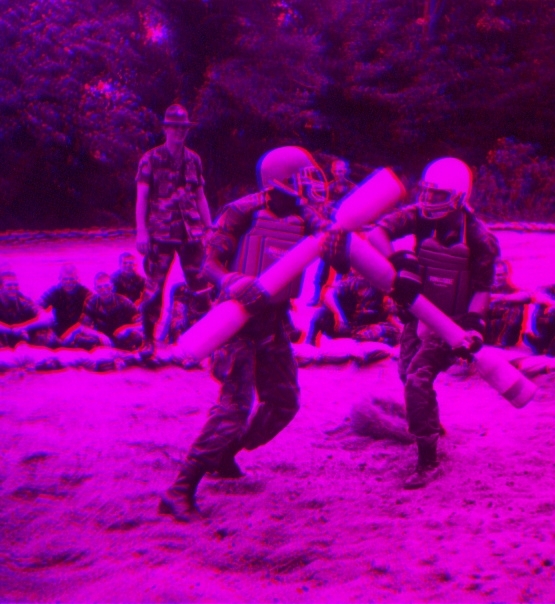 Bill Walton (who spent over 30 years on active duty in the US Army) documents the training exercises that turn a large group of raw recruits into tightly disciplined force. The first seven pages of the book go over in detail the steps of training. He follows it up with over 70 black and white stereo pairs of maneuvers, haircuts, artillery practice and even some creative 3d light painting. 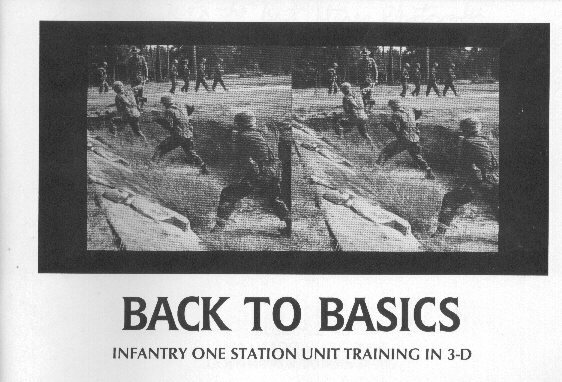 Shot around 1992 at Fort Benning, Georgia, the photography is stunning with great depth of field and clarity. Rifles seem threatening as they point towards you, and the dazed look of the recruits will make the reader feel that they are in the room with them. This is a necessary book for your collection whether you are a military enthusiast or a stereo collector. The book is available both with and without a plastic viewer (lorgnette) for people who may already own one.